Being self-employed is something lots of people dream of doing, and something a lot of people do every day. But don’t be fooled by the non-existent commute and the fantasy of working in your pajamas; being your own boss is a lot of work! Something people don’t usually think about is all the “back-end” business stuff that goes on behind the scenes. 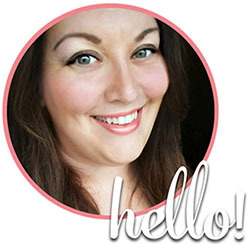 Being your own boss means you handle ALL aspects of your business, including the financials. While that can be confusing, there are things you can do to make that part a little less daunting. Since tax time is officially upon us, I thought now would be a great time to share some of the things that have helped me so we can all start off 2017 on the right foot with an organized plan for taking care of your taxes! Let me just say up front that I am not a tax professional of course, but I have learned a thing or two about making tax time a little less stressful. The following information is what I personally do to alleviate the stress of tax time. It should not be interpreted as tax advice. Every situation is different, but hopefully there will be things you can take from my experience to apply to your own situation. Like I was saying, preparation is key and the more organized you are throughout the year, the easier this will be. Get into the habit of adding purchases and expenses to a spread sheet as they occur. You can use a fancy accounting software program, or just search online for some free spreadsheet templates. When it comes time to file, you’ll have all your info at your fingertips and it will make entering the calculations simple! 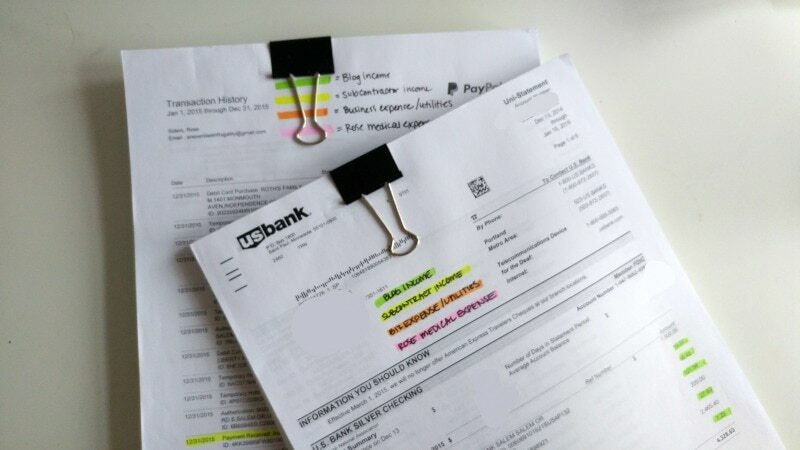 My first year of blogging I had to print out all my bank statements, go through and color code/highlight all my expenses and income…can you say OH HECK NO. Don’t make my mistake. A little extra effort throughout the year will make filing a breeze. 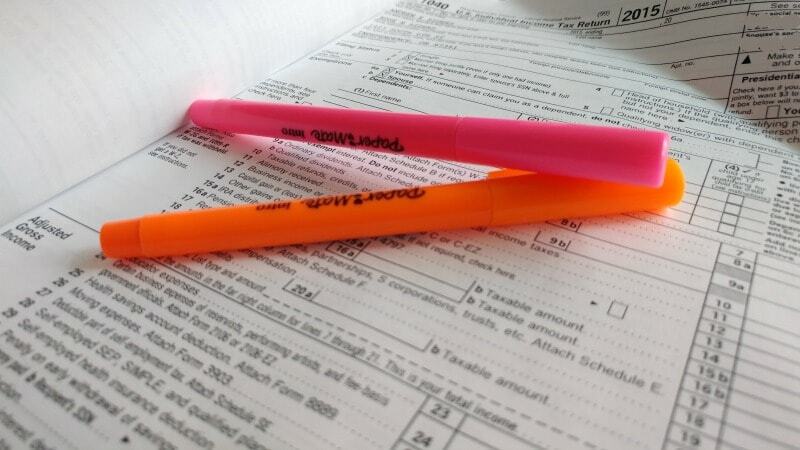 Taxes are intimidating for most people. I’ll admit it, I still get a twinge of panic when it comes time to file. Am I going to owe? How much am I going to owe? What can I deduct? Who can I contact for help? This is why I recommend either using a tax professional or tax program. Last year, my husband and I were able to use a tax professional for free because he was the IT manager of the firm, but normally having them done can be expensive, not to mention invasive. I did not like handing over all our personal financial information to someone. In our case, we KNEW the person doing our taxes, but even having them done by a stranger is something that I shuddered at. I prefer to do them myself with the aid of a tax preparation software. This year, I’m trying out TaxSlayer for the first time. I chose TaxSlayer because it’s simple, easy to use and transparent. Once you choose your level of service, everything is all inclusive. No surprises, because let’s face it-surprises are fun on your birthday, not on your taxes. TaxSlayer also boasts 50 years of tax experience, plus they offer free live e-mail and telephone support. I love that I can reach out in case I have questions or issues. Our tax return is complicated this year: interstate move, multi-state income, purchased a new car, sold a home…you get the picture. This year however, filing myself will be made a whole lot easier! 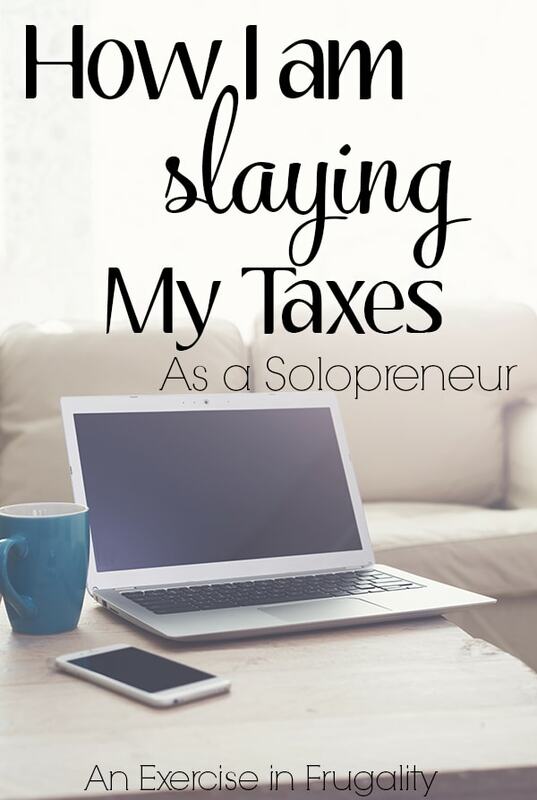 I hope by seeing how I prepare to tackle my taxes that it will give you the confidence boost you need to get yours done too. 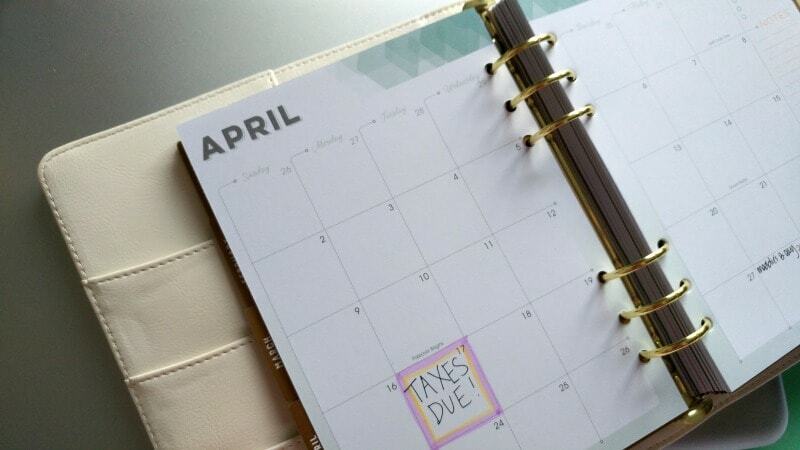 Tax time can be scary but with the right tools and preparation it’s much easier than you’d think. Oh and a little side note-if you do wind up OWING on your taxes (boo!) don’t forget that you can contact the IRS to work out a payment plan. They are very reasonable to work with despite what you may think. Don’t be afraid to reach out to them instead of hiding from it. If you don’t work out a payment plan then things can get ugly, but if you’re proactive about it, you’ll be surprised at how accommodating they can be! What are you waiting for? File now at TaxSlayer.com!